The Ka’anapali Beach Resort hotels are nestled on soft sand beaches, with gentle ocean waves. Each of these 12 hotels offers a different Hawaiian vibe, different amenities and different room styles. 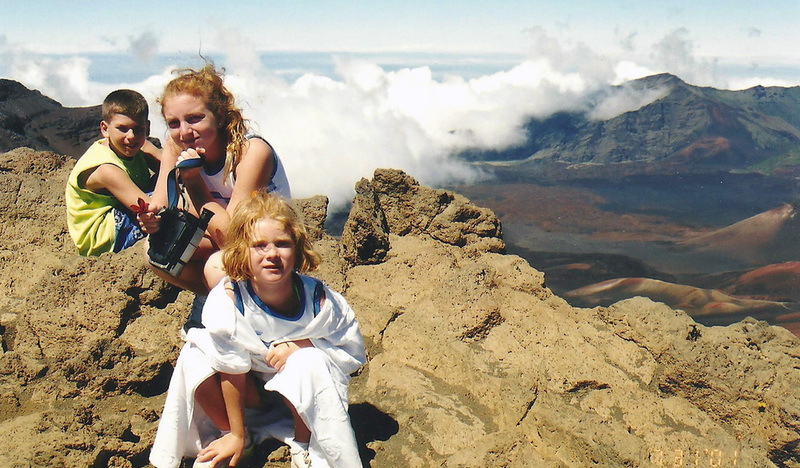 This guide will help you choose the hotel that’s right for your family vacation on Maui. Disclosure: This post may include affiliate links. If you click through and buy, TravelingMom will get a commission. Thank you for helping support TravelingMom. Maui is known as the “Valley Isle” because central Maui sits between two mountains. It’s also home to a variety of microclimates, so a few miles’ drive can mean the difference between sun and rain. And who wants rain on a Hawaiian beach vacation? The Ka’anapali Beach Resort hotels are nestled on soft sand beaches with mostly dry weather. A wide variety of family friendly hotels line Ka’anapali Beach. Here we review 12 of the properties, ranging from traditional Hawaiian lodgings to luxurious condo resorts. 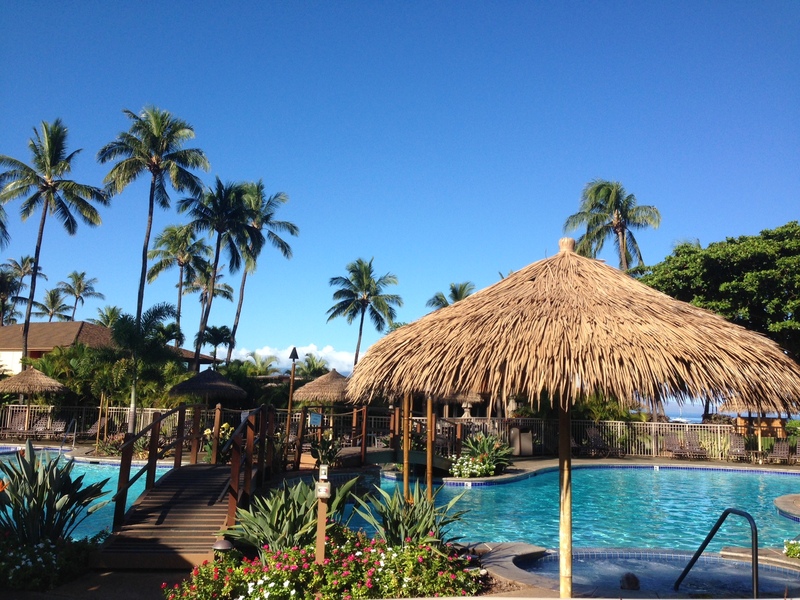 This handy guide will help you choose the right Maui resort for your family. One of the newest resort properties on Maui is the Hyatt Residence Club Maui Ka’anapali Beach. The property is located adjacent to the well-known Hyatt Regency Maui and features only villa accommodations with one, two, and three bedroom units. The setup is ideal for families with younger kids with early bedtimes (like mine!) and also for multigenerational traveling groups who need separate spaces. The Residence Club is one of Hyatt’s timeshare properties, but non-owners can rent villas just like any hotel guest would. The units offer every modern luxury and then some: full kitchens with stainless appliances, a large lanai with ocean views with seating for everyone in the family, giant soaker tubs, posh bathrooms, in-unit washers and dryers, docking stations for iPhones, and flat screen televisions in every bedroom and living area. No expense was spared on these new units. In fact, I’d unquestionably consider it it the nicest Hyatt property I have ever visited. All the luxury, of course, usually comes at a steep price. The property itself is similarly luxurious and meticulously kept. It has multiple pools, a small waterslide just right for toddlers, a splash pad, a pool bar, a fitness center, and a thoughtfully stocked convenience store on property. While there are no sit down restaurants at the Residence Club, the property shares charging and full access privileges with the Hyatt Regency Maui just a two-minute walk away. This means guests have easy access to multiple restaurants, additional pools, and the “Drums of the Pacific” Luau. Families with younger kids may especially appreciate the Camp Hyatt Kids Club where children ages 5-12 can enjoy supervised activities while parents have a nice dinner or visit the spa. This mega hotel is a mecca for Sheraton frequent stayers cashing in their points for a family vacation in paradise. And the beach at the Sheraton is well worth the trip. It might be the best along Ka’anapali. My room at the Sheraton Maui was a decent sized hotel room, nicely appointed bath, comfy bed. All the things you want in a business hotel. But this one had the added benefit of an oversized balcony overlooking the expansive beach, the reward for a very long walk to my room in this very large resort. The other not-to-be-missed feature of the Sheraton: Cultural Advisor Jack Stone. This man is the warm Hawaiian heart of the Sheraton. His charge: To teach Sheraton guests about Hawaiian culture through traditions like coconut husking, taro pounding, bamboo stamping, lei making, hula dancing, and ukulele lessons. Don’t miss a chance to take a class or just find Jack and hang out. Ask him to teach you the traditional Hawaiian greeting and explain the foundation of the word aloha. It’s a lesson that will live with you long after you get home. Every evening since the hotel opened in 1963, it hosts a traditional Hawaiian cliff diving ceremony. Just before sunset, gather for the free event that starts with music and story telling at Cliff Dive Grill. Then watch as a young Hawaiian cliff diver runs through the grounds, lighting the torches along the way. He then climbs to the top of Black Rock, offers up a lei to the heavens, bows to the four directions of the Earth and, finally, dives into the waters below. 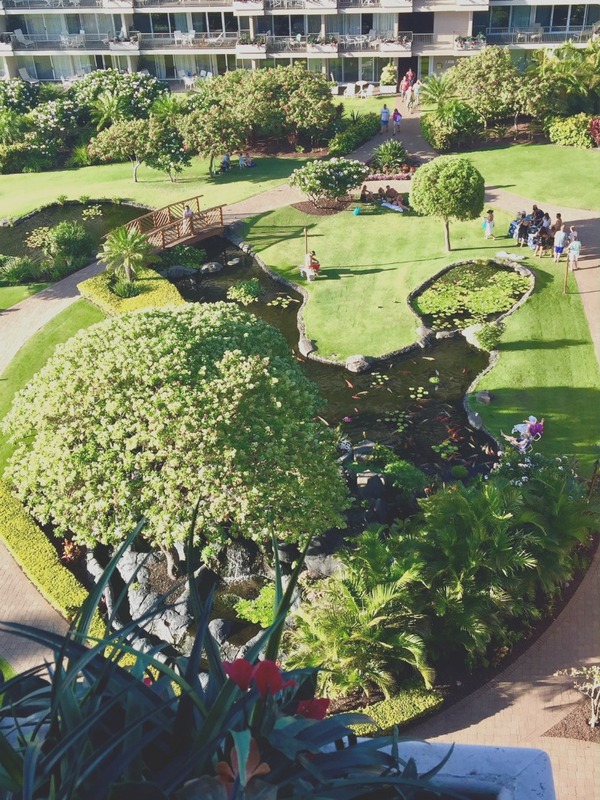 When a garden geek arrives at the Westin Nanea Ocean Resort Villas, she’s found heaven. 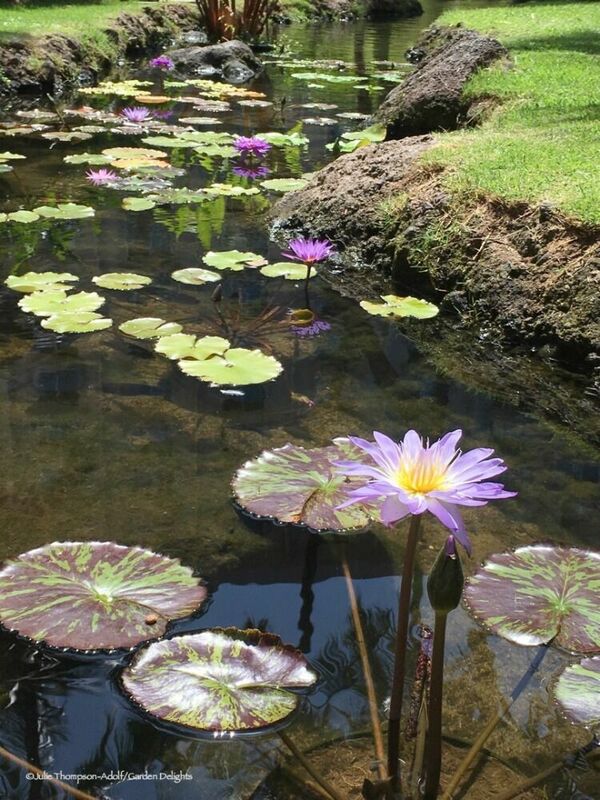 The perfectly maintained grounds sport lovely koi ponds filled with water lilies, creating beautiful photo ops. Plumeria blooms litter the ground, adding delicious fragrance to enjoy while walking along the paths to the pools. In fact, judging by the amount of flower photography currently taking up space on my iPhone and SDS card, it’s challenging to walk quickly through the grounds when you’re as flower-obsessed as I am. The resort offers cultural activities, such as hula lessons and lei making, as well as kids’ activities, like outdoor games and sand art. I also appreciated the beachfront walkway that linked the resort to other properties, allowing me easy access to visit my friends staying elsewhere. It was a quick, peaceful walk to their resorts. My two-bedroom, two full-bath suite would have been just the right size for my family of four. In fact, with a pullout sofa bed, the kids could each invite a friend. (That’s not happening, though, kiddos.) There’s even enough room for our adult son, his wife, and baby Maya to share the accommodations. We always look for a property with a kitchen when we travel. A full kitchen offers the chance to save a bit of money by eating breakfast before hitting the Ka’anapali sites. (There is a Costco just outside the airport–a first stop for regular visitors to Maui.) Of course, you could eat all of your meals in the suite, but why would you when there are so many delicious restaurants? Frankly, when I’m on vacation, I really enjoy letting a chef prepare dinner. It’s vacation, after all. This is the family friendly Maui hotel for people who want a quieter family vacation in Hawaii. The Whaler Aston Ka’anapali is two small towers of privately-owned condominium units. The condos range in size from 640 square foot studios to 2000 square foot luxury suites. 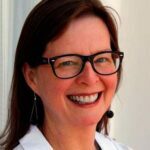 My one-bedroom included a porch along the full length of the unit outfitted with comfy chairs, a lounger and a high top table that became my outdoor office as I watched the surf roll in and the sun go down. The beach is small and the pool is smaller. But the resort offers a $99 “beach bundle” deal on two beach chairs, two boogie boards, two snorkel sets, one beach umbrella and one cooler for five days that I thought seemed like a reasonable offer. The grounds include a beautifully landscaped koi pond that gets kids’ attention at the daily feedings. I liked the laid back feel of the place and the generously sized condo with a fully stocked kitchen. There was a TV in the family room as well as one in the bedroom. But it was too complicated for me. Every time I tried to switch channels (even when I was holding the directions in my hand) I managed to screw it up. But the helpful staff reset the television each day. Maybe if I had stayed longer I would have figured it out. 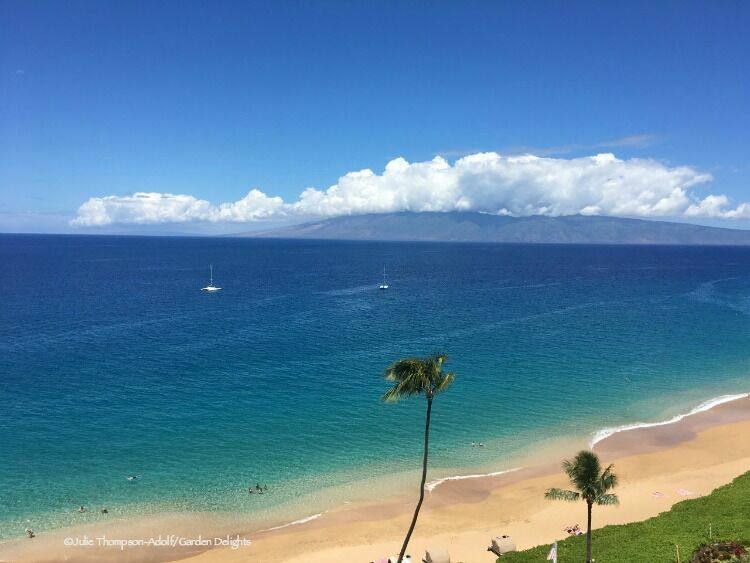 The Whaler is centrally located on Ka’anapali Beach. Head next door to Whaler’s Village for a sumptuous Hawaiian dinner or drinks while you watch the sunset, listen to the free concerts in the mall or walk along the beach path to the Hyatt for the “Drums of the Pacific” Luau and then head back to the peace and quiet of the Whaler for a restful night’s sleep. The Kaanapali Beach Hotel has the distinction of being “Hawaii’s Most Hawaiian Hotel.” The rooms were what I would describe as Hawaiian nostalgic. Decor made you aware that you were in Hawaii but the rooms bordered closer to nostalgic motel than luxe hotel. (The Molokai Wing has been recently renovated. You may have the best luck booking in that room block.) Since you enter your rooms from an outdoor corridor, all rooms have a private lanai (balcony). Most are courtyard facing with partial ocean views but oceanfront rooms are available. The lanais were larger than many others I saw with more privacy because of the way they are angled. If you are traveling with young children, there are a few things to keep in mind. The hotel room doors did not have safety latches up high so even my toddler could have pulled down on the door handle and opened the door. In addition, the armoire holding the television was not anchored to the wall and was quite shaky when I was attempting to fold away the doors to watch TV. What the Kaanapali Beach Hotel lacks in updated touches, it makes up for in cultural programming and location. 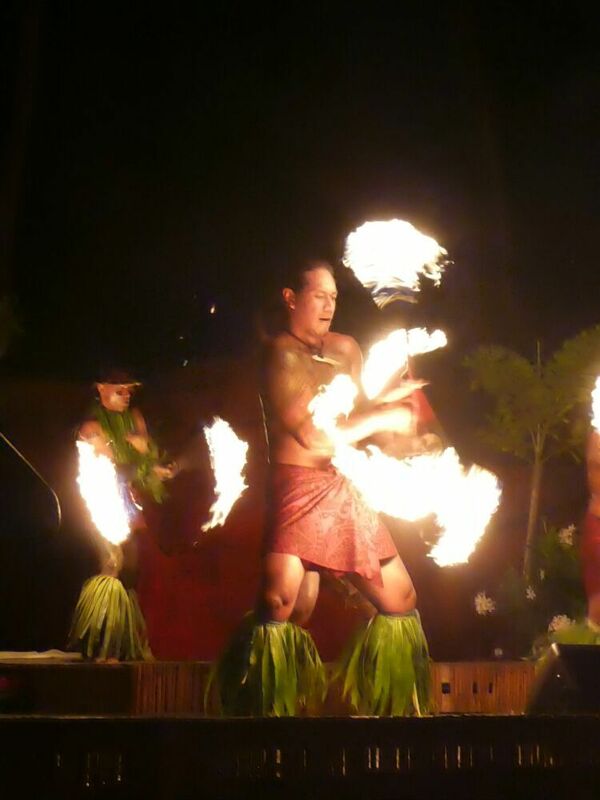 The resort offers daily cultural classes (hula, ukelele and language classes), garden walks, a nightly torch lighting ceremony and a nightly hula show. The kids really get into the free hula show and it is one the most interactive and audience friendly ones in the area. The staff seemed to recognize return guests and really put an effort into interacting with folks. The hotel is located within walking distance of Whaler’s Village where you have shopping and a ton of dining choices. The beach frontage is pristine and there was a small pool on the property for those who wanted to avoid the waves. As a heads up, the pool is not fenced in so do be careful if you are walking the property with little ones! Upon checkout, guests are invited to participate in a very sweet and meaningful lei ceremony where we received kukui nut leis and were invited to return as family. With a stunning ocean view from the Royal Lahaina Kai Tower, you almost don’t need to leave the room. But do. The beach is spectacular. 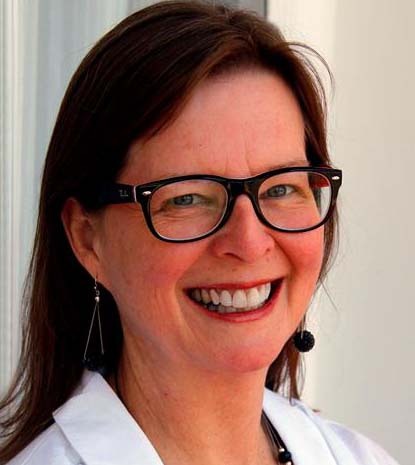 Photo credit: Julie Thompson-Adolf, Garden Geek TravelingMom. I’m a sucker for a good show. My first introduction to the Royal Lahaina Resort involved its “Myths of Maui” lu’au, and it didn’t disappoint. Touted as the island’s oldest lu’au, the passionate performers engaged the audience, causing enthusiastic applause and even a few cat calls for the dancers. Apparently, only beautiful people perform in Myths of Maui! I’ll admit, though, my first impression of the Royal Lahaina Resort’s exterior reminded me of a high-rise from the 1970s. The exterior building looks rather stark. But then I walked inside. The lobby presents a charming homage to Maui, without being kitschy. Framed retro PanAm posters and island photographs add a lovely historical feel. Local artisans sell high-quality crafts in the lobby during morning hours, which is convenient for souvenir hunters. When I opened the door to my room in the Lahaina Kai Tower, however, I caught my breath. The spectacular view makes the Royal Lahaina Resort a must-stay destination. Honestly, on my last morning in Ka’anapali, I sat on my lanai, eating a pastry I purchased at the ice cream shop, trying to decide how I could move my family to the island so that I could enjoy that gorgeous ocean view every day. Located on a beautiful beach that offers stand-up paddle boarding, kayaking, and snorkeling, my family of water adventurers would be in their element. A short walk to Black Rock provides a wildlife-rich snorkeling destination. While you’ll find swimming pools at the resort, think basic. Here, the beach is the main attraction. And what a gorgeous attraction it is. The Ka’anapali Ali’i may lack the big name of a major resort brand, but that means it flies under the radar a bit. Offering luxury all condo accommodations, the Ka’anapali Ali’i is ideal for family travelers who want full kitchens, multiple bedrooms, and higher-end accommodations for longer Hawaiian vacations. Units are individually owned but can be rented through the on-site property management company, Classic Resorts. That means they come with daily housekeeping and all the resort’s amenities with no additional resort fee. The property has multiple pools in a lush landscaped setting. These include a zero entry pool that is safe and fun for younger children as well as a quiet pool for adults. The resort is well-known for its Grill Master Service where a professional helps families prepare the perfectly grilled dinner at the numerous poolside barbecue grills. 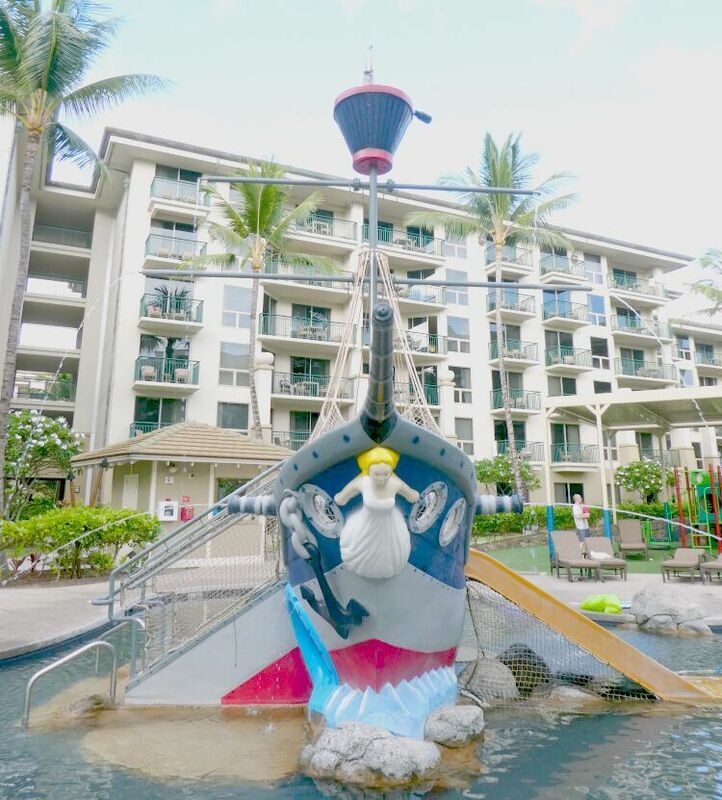 In summer, the Ka’anapali Ali’i has complementary activities for children ages 6-12. There is a sundry shop on property or the concierge can even arrange for a large package of groceries to be delivered via its butler service. One of the best features of the Ka’anapali Ali’i is its location. 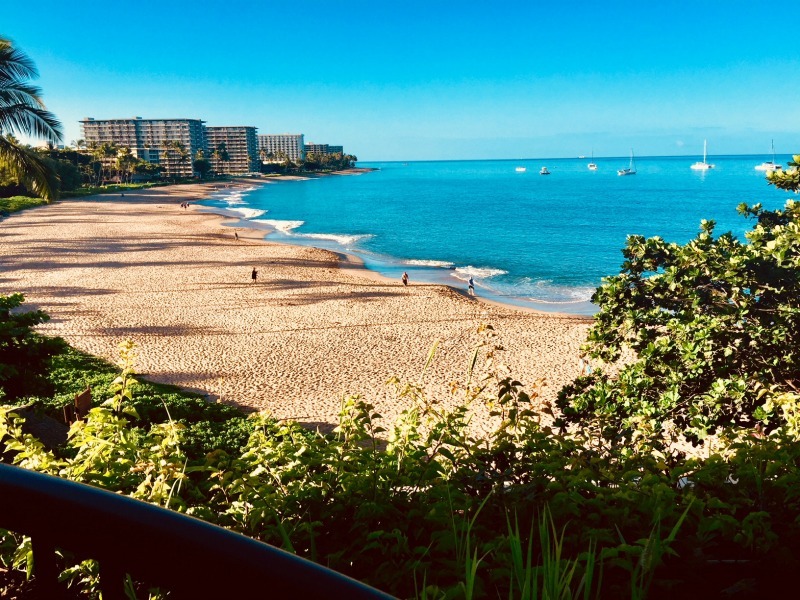 It is just a 3 minute walk along the beach path to Whaler’s Village, a mecca of shopping, dining, and activities on Ka’anapali Beach. The resort doesn’t have any restaurants on-site, but it has arranged for room service and charging privileges at the Westin next door, offering hotel service in its condo accommodations. Best known as a top resort for honeymooners, there is also much to offer for families at the Hyatt Regency Maui Resort & Spa. Although I was visiting on my own during my recent stay, my daughters would have loved exploring every inch of the grounds. With lush native Hawaiian flowers and greenery along with wildlife and sculptures, there is much to see. 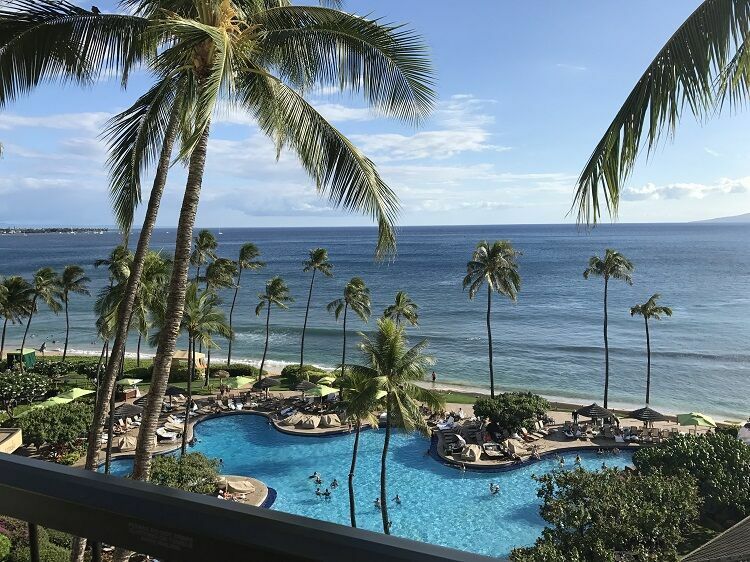 Add in the gorgeous view of the Pacific Ocean, and a half-acre of swimming pools, and the Hyatt Regency Maui is a hit with parents and kids alike. One of the biggest draws at the Hyatt is the wildlife, especially the family of African Black-Footed Penguins who live onsite. Every time I walked by, I just had to stop and say hello to these warm-weather birds. 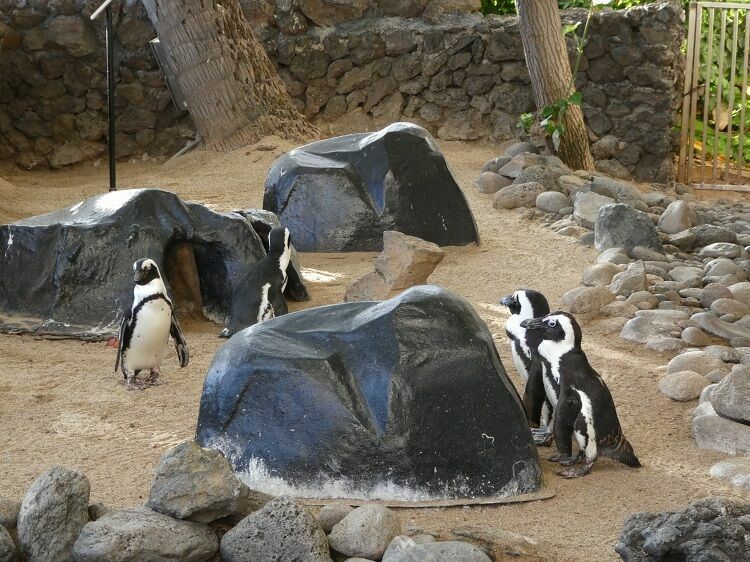 The hotel offers public penguin feedings every morning as well as a wildlife tour of the grounds three mornings a week and educational sea turtle talks every Monday. Each of the 806 rooms and suites has a private lanai with panoramic views. Most views include full or partial ocean; the non-water views show off the lush grounds and Maui mountainside. I had a gorgeous oceanside room and enjoyed falling asleep to the sounds of the birds and ocean waves. Families that need a quieter room should probably opt for a non-ocean view. Although the open air lobby is beautiful, there is no air conditioning in this area or the hallways outside the guest rooms. When checking in, guests receive ‘towel cards’ that can be redeemed in the pool areas for two towels each – these look just like the hotel key cards so be careful to keep them separate. The pools have a separate children’s lagoon for little ones and two waterfalls that enclose a tunnel area (where the Grotto Bar is also located). Guests at the Hyatt Regency can also use the four pools at the neighboring Hyatt Residence Club property. Along with the pools, the property has beachfront along the ocean. This beach area is probably best for adults or older kids who are strong swimmers though, as the current can be strong. 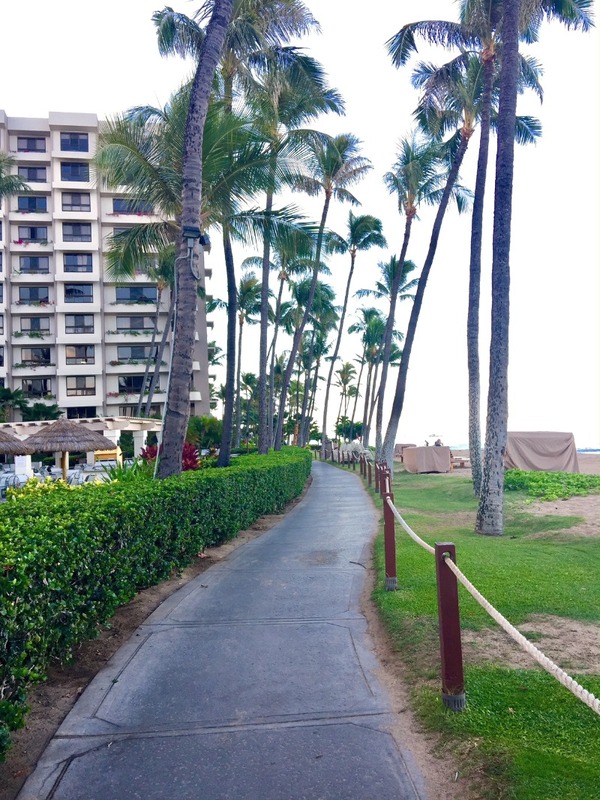 The southern Kaanapali resorts are all connected via a paved pathway and all share beachfront areas. If your little ones want beach time, just walk a short ways down. The Hyatt also offers shopping (including a Macy’s), a spa and many dining options, including the popular Drums of the Pacific Luau each night. One of my favorite activities was the Tour of the Stars rooftop stargazing tour, offered twice each night for an additional fee. The view of the Milky Way from the Hyatt roof is breathtaking, even with the naked eye. Two powerful telescopes and vivid descriptions by Director of Astronomy Eddie Mahoney help bring the stars and planets so close you almost feel you could touch them. My middle daughter plans to be an astrophysicist so this would be perfect for her. All of my girls would love it, and even small kids are welcome to experience this unique activity. Just note that the rooftop area is dark and can be crowded, so judge whether this is the best fit for your child. Westin Maui: Come for the fire dancers, stay for the frozen pineapple. The Westin has a welcoming resort feel. The expansive lobby features a waterfall- don’t forget to get your photo taken in the grotto behind it. The well-manicured pool area features a waterslide for the kids and a separate pool for adults. Rooms are pretty standard- mine was on the small side. The king bed took up most of the room. You definitely couldn’t have fit a rollaway and even a crib would have been in the way. My room also had a shower but not a bathtub- if you need a bathtub make sure you’re booking into a room category that has one. They do have rooms with two doubles, but I think even a family of four would feel tight in one room. A highlight of the Westin Maui is the Wailele Luau. Hula? Check. Fire Dancers? Check. Add in a buffet I’d return to eat and you’ve got a winner. The MC brought just the right touch of humor and pacing to the jam-packed proceedings. The Wailele is friendly for all ages: I especially appreciate that ages five and under are free. Yes, that’s a frozen pineapple bowl holding the banana split. Thank me later. 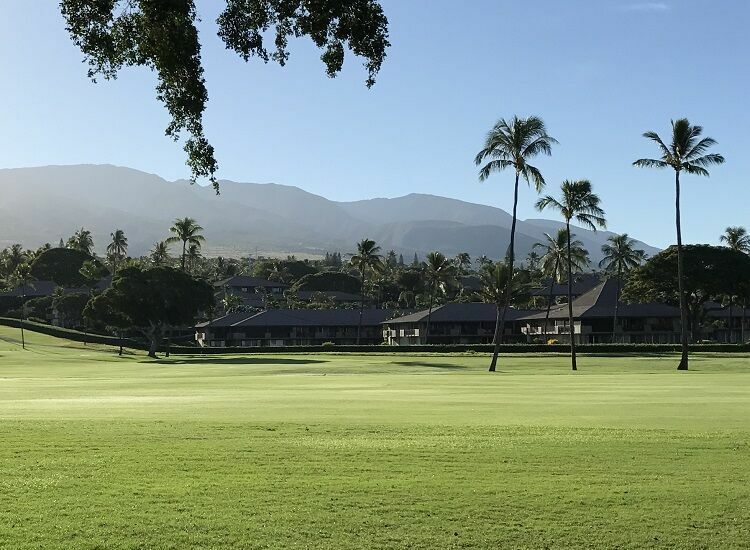 Located just north of Black Rock in Kaanapali, the Maui Eldorado Kaanapali by Outrigger provides a combination of golf course and ocean views. These vacation condos are great for families looking to relax on their Maui vacation. I stayed alone in a studio but there also are one and two bedroom units. Each has a full kitchen with full sized appliances including a dishwasher. The Hawaiian heat and sandy beaches tend to cause a lot of laundry, so the stackable washer and dryer in my unit got a lot of use as well. This property is a golfer’s paradise; you can walk out your front door almost right onto the green. The décor has a rustic Hawaiian feel that was missing from some of the larger, more commercial resorts. Although many units face the ocean, there is about a quarter mile walk down to the beach around a portion of the golf course. It’s worth the walk, but if you prefer, call the front desk to request a ride via golf cart. The private beach cabana building offers restrooms, towels and plenty of shaded areas and lounge chairs to relax and enjoy the view. If you prefer to swim closer to your unit, there are also three swimming pools on-site. These condo-style villas are located on the far end of the Kaanapali Beach area, near the Westin. Since these units are mixed use, the complex has a blend of vacationers and live ins. The main building has a great clubhouse feel with large open rooms to congregate in, a general store, free morning coffee, and a large laundry room. The grounds offer a serene beach front, 2 pools (including a children’s pool), barbecue grills, shuffleboard and a beach activities center. There is a free shuttle service around the area. The Maui Ka’anapali Villas rooms are large and well appointed. A full size fridge and kitchen area makes in-room meal prep easy. The bathroom was huge with a large closet and separate sink area. Coconut lime scented amenities added to the Hawaiian feel. There is a large private lanai. Views in this resort are mixed. If an ocean view is important to you, be sure to book a room that specifies that view. Many of the rooms face parking lots and other less scenic areas. This property was a good mix of families and couples and everyone seemed happy. 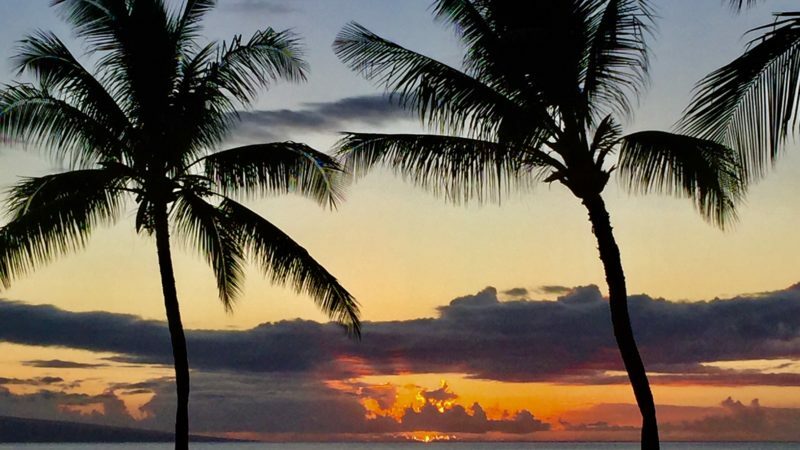 Couples can take a quick ride up the hill to the Westin for gourmet dining choices while families can use the on site Castaway Cafe or head over to the Royal Lahaina for the lu’au. Be sure to see if the Free Car package is available when you book. You can get a free rental car to explore in included in your nightly rate and it’s quite the deal! 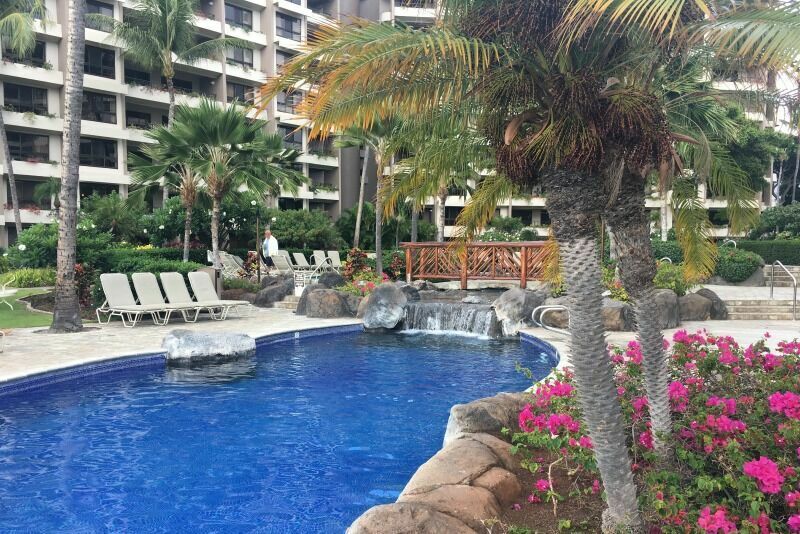 I spent three nights at the Westin Ka’anapali Ocean Resort Villas and really enjoyed my time there. This is a villa property but it can be booked like a hotel room. Room sizes range from studios to two bedroom suites. Villas have a kitchen and a separate sitting area with a pullout couch. The studio rooms easily sleep four. My favorite room feature is definitely the bathroom. Between the soaking tub and the rain forest shower there is something for everyone. One advantage the Westin Ka’anapali Villas has over many of the other Ka’anapali resorts: the pool area has a separate section for young kids. If you have a toddler or preschooler this may weigh heavily in your calculations. The Westin Ka’anapali Ocean Resort Villas feature two full service restaurants and a beachfront sports bar. I tried all three and would heartily recommend them, for different reasons. The biggest surprise to me was Pailolo, the sports bar. I expect sports bar menus to heavily feature the word “nugget.” Pailolo bucks the trend by featuring “food truck cuisine” (and having an actual food truck onsite). I enjoyed the best ceviche I’ve had in my entire life there. Even though the villas are self-catering, I’d hit up Auntie’s Kitchen for breakfast. I still think about the macadamia nut gelato topped french toast. Read that again. The french toast is topped with ice cream! Pulehu is the upscale restaurant on site. If you have a night out without the kids, this is the place to go. The cuisine tilts Italian but with a Hawaiian twist: the menu is heavy on seafood, of course. The Ka’anapali Ocean Resort Villas has a nice balance between the independence of a self-catering villa property and the pampering of a full-service resort. I’d definitely stay there again. What kind of hotel would your family prefer? Share with us in the comments below! Westin Maui. The most disappointing resort I’ve stayed at in decades. To say “the rooms are on the small side” is an understatement. No room for a crib for our 1 year old at all. Walls are paper thin. Must use towel cards for pool towels and people steal them from you while you are in the pool. No Aloha at the resort at all. The pool is so crowded, it’s a madhouse. Not the least bit relaxing. The beach is just okay and the undertow is dangerous. Can’t enjoy the ocean from the pool either as it’s not visible anywhere from the pool. Huge disappointment. Can’t understand the good reviews. Don’t even get me started about the parking situation. Overrated resort, stay away! Oh, wow–that stinks that someone stole your towel cards. I hate that you had a negative experience, because Ka’anapali is such a lovely place. I stayed in the Westin Nanea Ocean Resort Villas, and the rooms were huge–plenty of space for a crib, and I never heard any of my neighbors. Plus, the pool wasn’t crowded at all. I hope your next trip to Ka’anapali proves to be a better experience for you. 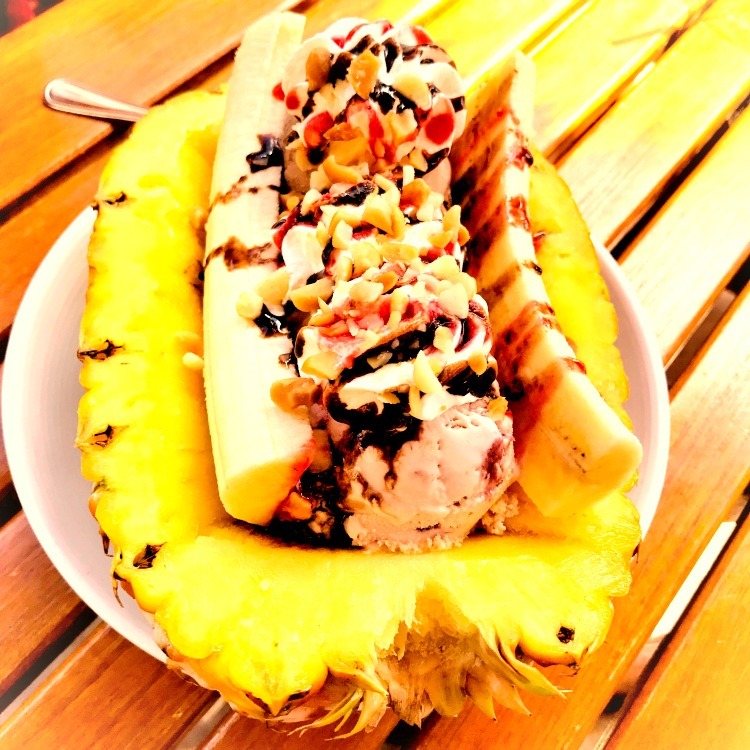 “that’s a frozen pineapple bowl holding the banana split” -wow, just looks so good! Oh, LIndy, I’m sorry to hear you had such an experience. Ka’anapali is such a gorgeous place with such a Hawaiian vibe that I can’t imagine having so much trouble. But then, no one stole my towel cards. I hope your next visit to Ka’anapali sends you home with more of an Aloha Spirit!